In the wake of King Fripp, Baron Brock and other lords of the celestial realms comes The Future Kings of England, the U.K.'s newest challengers to the cosmic overload throne. 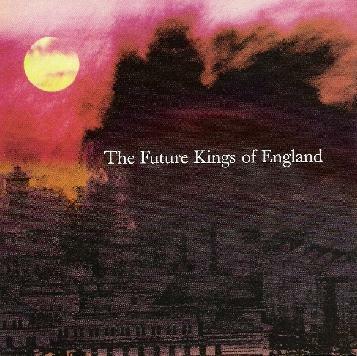 Primarily instrumental, The Future Kings of England's first full-length CD owes as much to the post-space rock generation (Tangle Edge and Porcupine Tree) as it does to such past masters as King Crimson, Pink Floyd and Hawkwind. Compositionally fierce and executed with both fire and grace, Future Kings evokes grandiose visions of Albion's past glories and present dreams. Mammoth guitars (Ian Fitch), majestic mellotron (Steven Mann) and a powerful rhythm section (Karl Mallet and Simon Green) stir deep, primordial memories of Hall of the Mountain Grill, Yeti, Meddle and In the Court of the Crimson King, while at the same time pointing forward toward a new alliance of the progressive and the psychedelic. The stately acoustic guitar intro to "10:66," the album's opening track, trails off into a mournful, windswept dirge that reminds one of standing on the edge of a blasted moor at midnight. Fitch's densely power-chorded guitar gymnastics, however, drive "Humber Doucy Lane" into the dark nether world of Red-era Crimson. A dynamic tension-release workout, "Humber Doucy Lane" spirals ever downward into a maelstrom of ritualized jamming before abruptly shutting off - always a classic ending. "Lilly Lockwood," on the other hand, has the breath-taking aura of early 70s British folk-rock (Fairport Convention, for example) wedded to the rock classicism of Fitch's soaring post Hendrix guitar mayhem. The same can be said of "March of the Mad Clowns," though here Steven Mann's mellotron anchors the group more firmly in the antique splendor of early Crimson, albeit with touches of sonic anarchy that recalls Amon Duul II at their improvisational best. "Pigwhistle" is a crushing finale, dominated by the interplay between Green's colossal drumming and Mann's symphonic layer of mesmerizing keyboards and leads into the uncredited eighth track which moves with a hypnotic pulse reminiscent of Pink Floyd's "Echoes" until it metamorphoses into a minimalist soundscape of sliding, gliding guitars, radio transmissions and eerie synthesizer textures, all achieving a decidedly cinematic atmosphere. Flawlessly performed and immaculately realized, The Future Kings of England is required listening for anyone interested in the burgeoning nexus of 21st century neo-progressive rock. For more information you can visit The Future Kings Of England web site at: http://www.thefuturekingsofengland.com. Visit the Backwater Records web site at: http://backwaterrecords.com.